Self-storage franchise opportunities in Benalmádena are a great way to start a business in Spain. 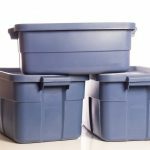 After all, there are always potential customers looking for extra storage space. Having opened our first uStore-it self-storage unit in Manilva in 2015, we soon started franchising the business the following year. This has resulted in giving others an amazing business opportunity in Benalmádena and beyond. Benalmádena itself can be found in Andalusia in Southern Spain, situated along the Costa del Sol. The population of almost 60,000 is spread across the towns’ 3 regions – Benalmádena Pueblo, Arroyo de la Miel and Benalmádena Costa. With its stunning beaches overlooking the Mediterranean sea, you will also find a large number of hotels and a vibrant nightlife along the coast. As such Benalmádena attracts returning visitors, many of whom require self-storage units both for long and short-term use. Getting to Benalmádena is a straightforward commute by car, and trains arrive in the town approximately every 20 minutes. Alternatively, the Malaga Metropolitan Transport Consortium provides a number of bus routes, covering the surrounding area. 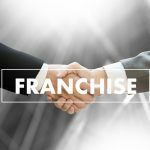 As such if you are looking for franchise opportunities in Benalmádena, your business will be easily accessible.